OPINION: Last week’s first ever photograph of a black hole was a giant leap forward for science — and a massive step backward for humanity. We now have the capacity to photograph a halo of dust and gas 500 million trillion km from Earth, but evidently we are not yet advanced enough to give credit and acknowledgement to a woman. The woman in question was Dr Katie Bouman, the MIT graduate who led the creation of one of the algorithms used to produce the black hole photo. 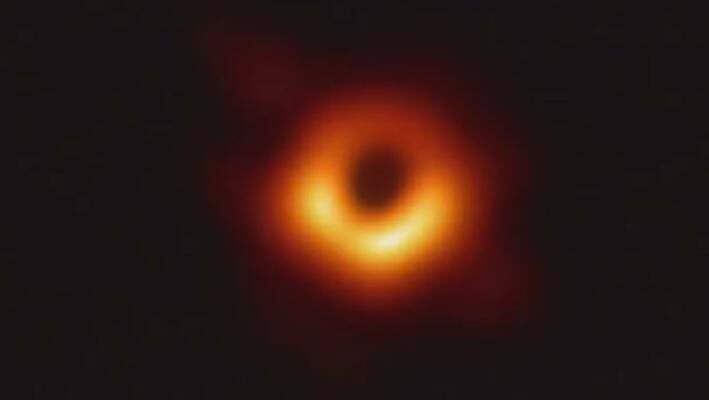 After the black hole image was revealed to the world by the Event Horizon telescope director Sheperd Doeleman, MIT’s Computer Science & Artificial Intelligence Lab proudly tweeted a photo of Dr Bouman, acknowledging her role on the project. Articles and pictures of the excited 29-year-old downloading the black hole image on her computer started popping up on news sites and social media. So far, so PR. It’s standard practice for universities and companies to publicise the achievements of its staff, students and alumni. The black hole photo was an amazing event – until operation Take Down Katie Bouman kicked in. But this is STEM we’re talking about, and a woman taking up the scientific spotlight cannot be tolerated. Within hours, operation Take Down Katie Bouman was in full swing and has continued to gather pace ever since. Trolls ranted on Reddit and scurried to produce videos on YouTube with titles like “Woman does 6 per cent of the Work but Gets 100 per cent of the Credit: Black Hole Photo”. To be clear, Bouman never claimed to be the star of the black hole photo show. She was nothing but magnanimous and collegiate. As she posted on Facebook, “No one algorithm or person made this image, it required the amazing talent of a team of scientists from around the globe and years of hard work to develop the instrument, data processing, imaging methods, and analysis techniques that were necessary to pull off this seemingly impossible feat”. But that seems irrelevant to the geek bros who shared memes insinuating that Bouman was little more than a photobombing pretty face and that Andrew Chael, a male colleague, was responsible for writing 850,000 of the 900,000 lines of code in the algorithm. Chael has since slammed these trolls and defended Bouman, tweeting that not only did he not write 850,000 lines of code, there is only about 68,000 lines in the current software. “So while I appreciate the congratulations on a result that I worked hard on for years, if you are congratulating me because you have a sexist vendetta against Katie, please go away and reconsider your priorities in life,” Chael tweeted. But where these male scientists were able to at least acknowledge the existence of women, Bouman’s trolls took it a step further. Not content with just discrediting her and attributing three years of her hard work to a man, some men want to erase her entirely. In a stunt reminiscent of Hidden Figures, the black female mathematicians critical to the success of the US space race who were written out of history, somebody reportedly flagged Katie Bouman’s Wikipedia page for deletion and others have been setting up fake social media accounts in her name. For a field supposedly interested in the pursuit of truth and giving credit where it’s due, it seems that some supposed science buffs are still no closer to having the sophistication to imagine that women might be able to science as well as men. At this rate, we’re more likely to find life on another planet sooner than we reach gender equality in STEM. If there’s one bright spot to take away from the whole tawdry affair, these trolls have managed to raise the profile of Dr Katie Bouman even more so than had they kept quiet.